This review first ran in the July 28th edition of The Hamilton Spectator. Congratulations on your new job. We’re sorry to see you go. Your coworkers throw an Irish wake. The boss says kind words. They give you a gift. There are handshakes, hugs and promises to stay in touch. But that doesn’t happen. It’s out of sight, out of mind. 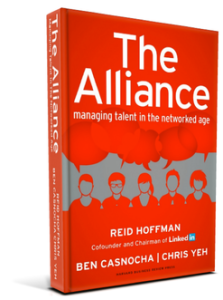 And that’s too bad because not staying connected is a missed opportunity for you and your former employer, according to the authors of The Alliance: Managing Talent in the Networked Age. Building a corporate alumni network is one of three big ideas for building employee loyalty pitched by LinkedIn cofounder and executive chairman Reid Hoffman, along with Ben Casnocha and Chris Yeh. So how do you build employee loyalty when you can’t guarantee lifetime employment and the competition for top talent is fierce in Free Agent Nation? One solution is to launch an alumni network for valued former employees. A study out of the Netherlands founded that 15 per cent of surveyed companies had formal alumni networks and another 67 per cent of companies had ex-employees who wanted to stay connected and independently organized informal networks on their own time and dime. Your alumni network can help you hire new employees by making referrals. You can stay connected with boomerang employees who discover the grass isn’t always greener. Alumni can be a goldmine of business intelligence on everything from competitive information, emerging trends and best practices being adopted outside your organization. Alumni can steer business and customers your way. And alumni can be enthusiastic and convincing brand ambassadors. A third way to build a strong alliance with loyal employees is to help them grow their professional networks outside your organization. As the authors point out, there are far more smart people outside your company than inside it. Your organization can’t afford to be inward looking so encourage your employees to connect with all the smart people they know and then share what they learn. Taken together, these three strategies help build an alliance that benefits both employers and employees. “The business world needs a new employment framework that facilitates mutual trust, mutual investment and mutual benefit. An ideal framework encourages employees to develop their personal networks and act entrepreneurially without becoming mercenary job-hoppers. It allows companies to be dynamic and demanding but discourages them from treating employees like disposable assets. 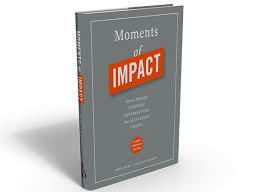 So at your next farewell party for the high performer you didn’t want to lose, make one of your gifts a lifetime membership in your organization’s alumni network. And then stay in touch.